A battle of infinity with various dinosaur robots! Choose the dinosaur robot you want, assemble it, Battle your dinosaur robot with other dinosaur robots. 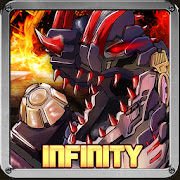 Various combat motions and colorful effects, We invite you to the world of dinosaur robot. Please keep in mind that the new Dino Robot will be updated.